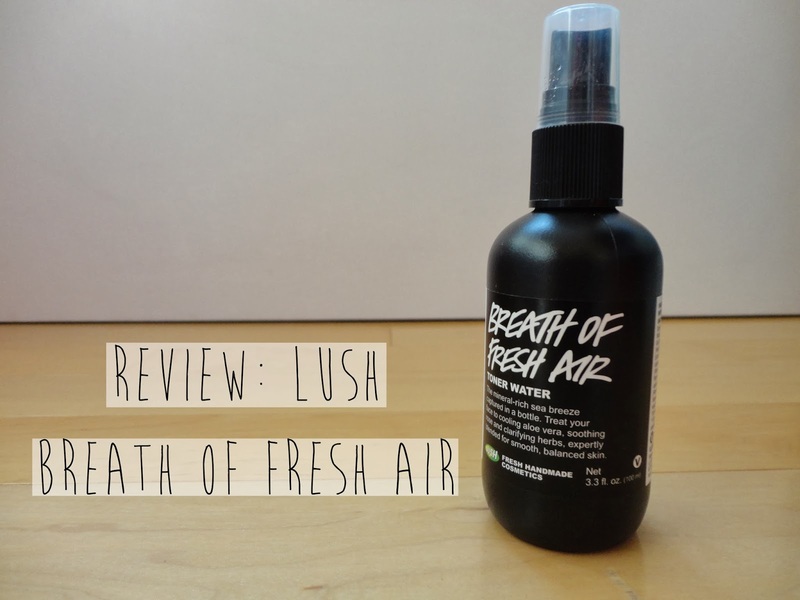 It's been quite some time since I've written a review on a Lush product and even longer since I've made a Lush purchase. Although I'm itching to buy some new products to test, my local Lush store in Soho has shut down, making the nearest one to me their Union Square location. In reality, Union Square is roughly 15-20 minutes away by train but I'm hardly ever in that area so I haven't had the chance to make a trip there yet. This Lush Breath of Fresh Air Toner ($9.95) was recommended to me by one of the sales associates. At the time of purchase I had combination-oily skin and had already tried the Lush Tea Tree Water Toner ($9.95) and didn't like it. Lush Breath of Fresh Air Toner is catered toward all skin types with fresh seawater to cleanse, seaweed extract to soften and rose absolute and aloe vera to soothe. I apply the toner directly to my face using the built-in spray immediately after cleansing. The scent is very pleasant in my opinion, smelling vaguely of a sea breeze. I typically let the product soak into my skin and then continue on with the rest of my skin care routine. When my skin type was combination-oily I noticed that the toner did very little for me in terms of oil-control but it left the more normal areas of my face feeling soft and supple. However, since I've come back from London my skin has become combination-dry (probably due to the harsh weather in NYC) and I find that the toner causes my face to feel tight. I'd have to admit that I am not a huge fan of this product and would not actively recommend this toner to anyone. I feel that it doesn't do enough to justify the price tag and the Lush Tea Tree Water Toner is much more effective, so if you must try a Lush toner I'd say go for the Tea Tree Water. At this moment I am only using this toner on my T-zone and I've almost used the product up so look out for it in my next empties video!